A box of cards showing the flag of every country in the world. 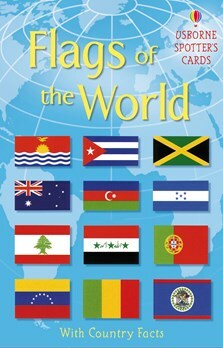 Each flag is accompanied by country fact data, from capital cities to currencies. Feature panels tell more about flag designs, symbols and traditions and internet links provide lots more flag information.